Hello everyone. It’s been a long time since posting. We have been well and truly hibernating over winter, gathering thoughts and making plans. 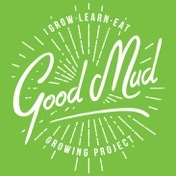 Some key changes at Good Mud this year but we are still providing fresh veg to the Bude Food Bank (almost) every week and we will be growing veg and some fruit this year. More updates and news to follow. New season, clearing out the polytunnel!